Sight Concern are very proud to have received the Queen’s Award for Voluntary Service in 2018.This very special award was created in 2002 and it is part of the UK honours system to recognise the work of grassroots organisations at a local level. Winners are announced each year on 2 June, the anniversary of the Queen’s coronation. This is like an ‘MBE’; it’s the highest award given to local individuals or groups for excellence in voluntary activities in their local communities. Each group is assessed on the benefits it brings to the local community and its standing within the community. Sight Concern couldn’t exist without our volunteers. Everyone has played a part in our story and our history. That’s why we’re delighted that volunteers’ hard work and commitment has been recognised by Her Majesty the Queen. The charity received a signed certificate from The Queen, an English Crystal with the logo insignia, and permission to use the Queen’s Award for Voluntary Service logo. Our CEO, Jenny Gage, was invited to attend a Royal Garden Party at Buckingham Palace on the 5th June 2018, together with one of our Trustees Shirley Sheridan. 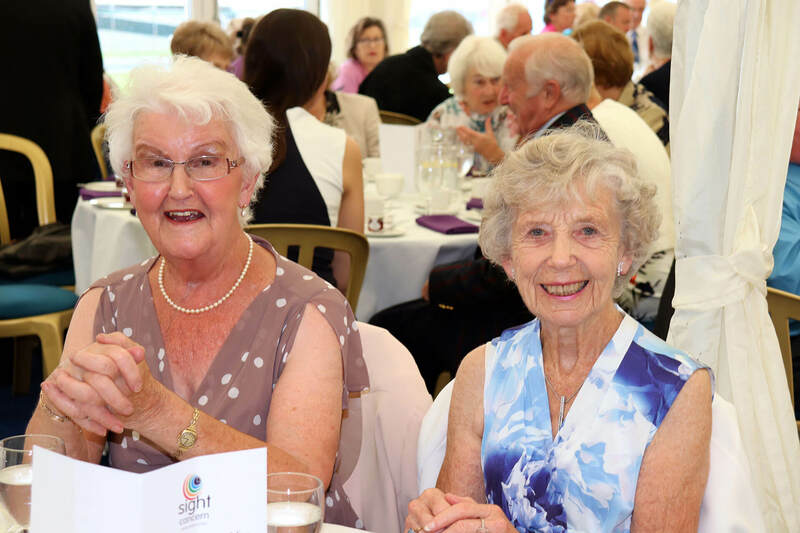 In September 2018, we held our own afternoon tea to thank our volunteers and celebrate this momentous occasion. The Lord-Lieutenant of Worcestershire, Lt Col Patrick Holcroft, attended to present our award. Over 150 of our volunteers were able to join us to celebrate. 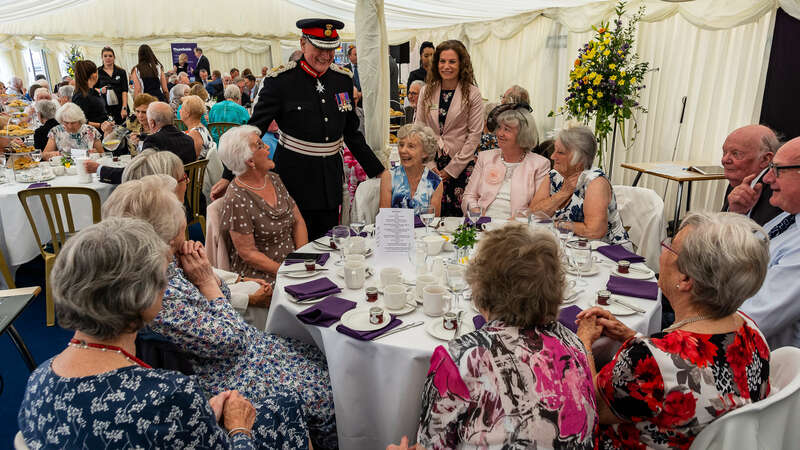 The Lord Lieutenant gave a short speech, recognising the work of Sight Concern and expressing pleasure that the charity had been chosen to receive this prestigious award.